Last December, SIGGRAPH Asia was back in Japan for the third time since the conference started in 2008. 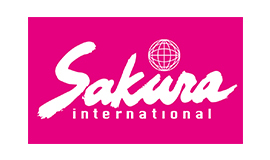 However, it was the first opportunity for Tokyo to host the Conference and Exhibition on Computer Graphics and Interactive Techniques in Asia, which has grown significantly in scale and importance over the last couple of years. The prestigious event was held at the Tokyo International Forum, the capital’s leading conference facility, and attracted more than 9,000 international and local participants, including some of the industry’s most respected creative minds. Participants were captivated by the technologies from all over the world showcased at SIGGRAPH Tokyo, from fields such as research, science, art, animation, gaming, interactivity, education, and other emerging areas. 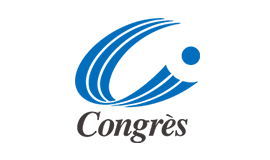 The four-day conference featured a diverse variety of programs, as well as a three-day exhibition that served as a business platform for industry players to market their innovative products and services. This year’s event was the largest exhibition showcase in SIGGRAPH Asia’s history, which will serve as a model for future events in Tokyo and the Asia region as a whole. Students who participated in the event had the greatest opportunities for accessing valuable experiences in SIGGRAPH Asia’s history. Just a few of these opportunities included: engaging with world famous specialists while helping them prepare their sessions; finding career opportunities at the Job Fair in the SIGGRAPH Asia Exhibition’s Recruiting Zone; free access to all event zones in exchange for a fixed number of hours spent doing volunteer activities, and a first-hand look at how this international community cooperates and fosters future generations of its elite specialists. The Tokyo Metropolitan Government (TMG) and Tokyo Convention & Visitors Bureau (TCVB) jointly contributed to the success of the conference and exhibition by providing welcome desks for arriving attendees at both of Tokyo’s airports, a Tokyo City Information Desk at the event site, Japanese cultural programs, complimentary Tokyo city tours, and support from volunteer staff. Last December, TCVB organized an unusual entertainment event for a large incentive-trip group from an Indonesian financial company. The Awaodori dance, one of the most popular entertainment offerings among TCVB’s “Tokyo’s Special Offers”, was not simply performed a local dance troupe during the gala dinner. Instead, this time over 100 event participants joined in with the performers in the lively dance. Participants, each dressed in a yukata (casual summer kimono) of their choice, enjoyed dancing energetically while shouting “yatto-yatto” in response to the cheerful yells of “yatto-sa” given by the performers. These calls provide the rhythm to which this dance is performed, typically by a large number of people. All of the participants and event organizers mentioned the wonderful, united team spirit they felt while dancing in the venue, a traditional tatami-room at Odaiba Tokyo Oedo-Onsen Monogatari, a hot spring theme park. If you would like the team spirit of your workplace strengthened by this dance, or any one of the many other event options we offer for incentive-travel groups, please contact TCVB with your request. 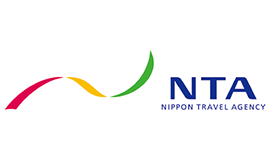 The 125-page volume beautifully illustrates Tokyo’s convention halls, hotels, and other event venues, as well as local attractions, group activities, and exciting things for meeting participants to do while in Tokyo. It also features easy-to-understand infographics explaining “WHY TOKYO?”, as well as a picture-catalogue of traditional and unique group activities, gift ideas, and specialty Tokyo products. 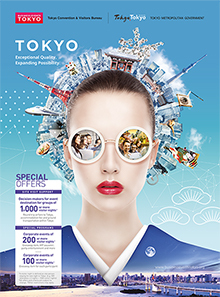 Meeting planners can use this guide to find perfect ideas for infusing their business event with a distinct “Tokyo flavor” to make it unforgettable. “Tokyo is innovative, inspired, sustainable and reliable. In producing this guide, we focused on branding and visualizing Tokyo as “the best place to meet” in order to encourage meeting planners to hold business events here, while also ensuring high-quality content and design to maximize the guide’s ease of use,” commented Director of the TCVB Business Events Team, Kazuko TODA, upon the release of the guide’s newest edition. 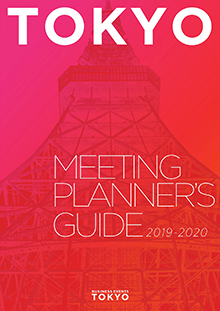 The Tokyo Meeting Planner’s Guide 2019-2020 is published only in English. A Flickr edition of the book can be viewed on the TCVB website, where a PDF version is also available for download. TCVB is pleased to announce that one of its images has been selected as the winner of the TTGmice 2018 Best Print Campaign. 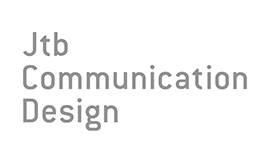 This award is given for the best use of a single or a series of captivating print visuals and narratives to deliver a memorable brand message. Forest Terrace Meiji Jingu was constructed in the almost 100-year-old forest in Meiji Jingu Shrine’s vast 700,000 square-meter premises. As a result, the place itself feels exceptionally vast and tranquil. This venue was renovated in October 2018, and features a fusion of natural, traditional, and modern design elements. These characteristics make it perfect for welcoming delegates for parties and receptions. The main banquet hall, the Keyaki, is 326 sq. meters in area and can accommodate up to 150 people for a standing reception. This beautiful space is sure to vitalize the hearts and minds of its visitors. The luxurious interior décor emphasizes the warmth of the wood furnishings, while the large glass-screen walls create a feeling of being in the middle of a forest. There are also two smaller halls: the 218 sq. meter Kusu can accommodate up to 120 people, and the 99 sq. meter Shii up to 40. Surrounded by a lush forest, this unique venue is waiting to welcome and provide an unforgettable memory for visitors coming to Tokyo for business events. 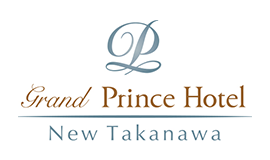 The 31st Inter-Pacific Bar Association Annual Meeting and Conference (IPBA 2021) will be held on April 21-24, 2021 at the Hotel Okura Tokyo. 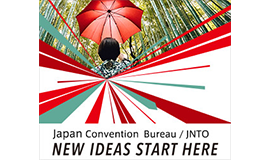 The IPBA convention’s triumphant return to Tokyo – the birthplace of the organization – is sure to provide a variety of significant benefits for the Asia-Pacific Region, such as enabling better cooperation and exchange of resources among professionals throughout its many diverse countries. The TMG and TCVB will continue to support the IPBA in order to ensure a successful and unforgettable 31st IPBA Annual Meeting and Conference in Tokyo. Tokyo Michelin Guide 2019: Onigiri shop gets Bib Gourmand Status! The Michelin Guide has announced its Tokyo star rankings for 2019. The Japanese capital continues to outshine every other city on the planet, with the world’s highest number of starred restaurants, now 230 in total (13 three-starred, 52 two-starred, and 165 one-starred establishments). This year, Onigiri Asakusa Yadoroku, a small shop that has been serving onigiri rice balls since 1954, was awarded a one-star status, helping Tokyo defend its record for the twelfth consecutive year. The garden of Happo-en, a uniquely picturesque venue of traditional-style buildings surrounded by a Japanese garden which dates back nearly 400 years, was awarded third place in TripAdvisor’s “Free Tourist Attractions Chosen by Travel Enthusiasts in 2018”.